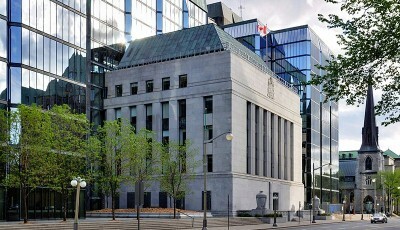 Bank of Canada headquarters in Ottawa, Ontario. The Bank of Canada, along with Payments Canada and the Royal Bank of Canada (RBC), said they have been testing a digital fiat currency known as CAD-COIN, reported Forbes. The parties revealed the development in a panel discussion at the Payments Panorama conference this week in Calgary, Alberta. The session was closed to the media, but Kyle Kemper, executive director of the Bitcoin Alliance of Canada, shared a photograph via Twitter of a slide demonstrating how CAD-COIN works. 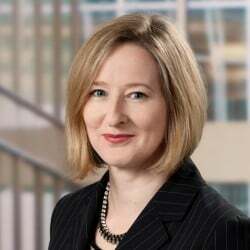 Sources stressed to Forbes the BoC and Payments Canada do not currently have plans to issue a digital fiat currency. They told the magazine that Carolyn Wilkins, the central bank’s senior deputy governor, will disclose more details about the experiment in a speech tomorrow at Payments Panorama. 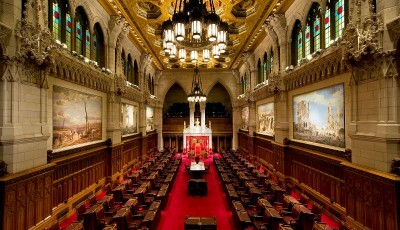 According to sources, the experiment includes participation from Canada’s “big five” banks: RBC, Toronto-Dominion Bank, Scotiabank, Bank of Montreal, and the Canadian Imperial Bank of Commerce. Forbes reported the experiment is being conducted by financial innovation firm R3 CEV, whose members include each of those banks. Kemper told the magazine the panelists demonstrated the use of CAD-COIN, showing how funds can be transferred using Ethereum. 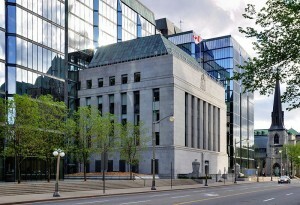 “The central bank is really innovating here, but it’s innovating in cahoots with the largest banks in Canada first as a project but ultimately this can be the CAD-COIN,” Kemper said, noting this was the first step in the “blockchain-ification” of banks.